Professor Margaret Callan has been appointed as Course Leader (Rheumatology) for Year 5 of the Undergraduate Medicine programme, following the departure of Dr Sonya Abraham. Professor Callan is Deputy Head of Year 5, Course Leader for Immunology in the Year 5 Pathology Theme and a Consultant Rheumatologist at the Chelsea and Westminster Hospital. Dr Elizabeth Muir has accepted an appointment to lead a programme of work supporting the School’s ‘Year of Feedback’. The purpose of this project is to identify and deliver improvements to the feedback provided to our students throughout the undergraduate Medicine programmes. Dr Muir is a Clinical Senior Lecturer in the Department of Primary Care and Public Health and a General Practitioner. She is also Theme Leader for Foundations of Clinical Practice and co-leads the Problem Based Learning teaching. I hope you will join me in congratulating them on their new appointments. Centre for Infection Prevention and Management (CIPM ) collaborators Dr. Eimear Brannigan and Enrique Castro-Sanchez have had cause to celebrate recently. Earlier this year Dr. Brannigan was nominated for the Imperial College Teaching Excellence Award for 2013-14. The award was set up in 2003 to recognise excellent teaching among NHS staff. We are delighted to announce that the nomination was successful and Dr. Brannigan will be presented with her award at a ceremony on Tuesday 25th November at 5.30pm in the Glenister lecture theatre at Charing Cross. Our senior research nurse Enrique Castro-Sanchez has been awarded a travel scholarship by the Florence Nightingale Foundation Trust. The scholarship is to enable Enrique to undertake a study in South Africa, Mozambique and Rwanda on building nursing capacity in antimicrobial stewardship: learning from low and middle income countries. The study builds on CIPM’s existing partnership with hospitals in Rwanda, including the work to reduce neonatal mortality and maternal and paediatric infection through improved patient safety in Rwanda, funded by THET Partnerships for Global Health. The MEd Surgical Education Community would like to congratulate 2013 alumnus Mr Andrew Wainwright for winning the Robert Jones Gold Medal from the British Orthopaedic Association, after submitting an essay based on his MEd studies. Andrew, a consultant surgeon and Training Programme Director in Oxford, completed his MEd in Surgical Education with a Distinction and a dissertation entitled “A good pair of hands”. In the prize-winning essay he discussed the themes of competence, apprenticeship and craftsmanship in orthopaedic surgery today. By exploring the essence of what ‘having a good pair of hands’ means to surgeons, he proposed how this could improve the way that orthopaedic surgeons learn, teach, and assess surgical skills. Poppy Lamberton was recently shortlisted for The Women of the Future Awards – the largest national search for exceptionally talented women, which unearths the next generation of high-flying women across nine industries, including technology, media, business, arts and science. 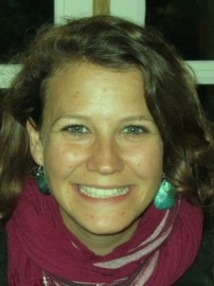 Poppy, a Junior Research Fellow in the Department of Infectious Disease Epidemiology, was shortlisted for the 2014 Science category. Poppy works on neglected tropical diseases, which are often endemic in the world’s poorest rural and urban communities. Her research currently focuses on parasitic infections such as Bilharzia and River Blindness, with the aim to maximize the success of treating populations in Africa. Poppy’s research utilizes field epidemiological data, laboratory experiments and population genetics to understand parasite population structure, transmission dynamics and the effects of long term mass drug administration programmes. Poppy is also passionate about public engagement with science, talking at a range of schools and working closely with STEM and the Natural History Museum on events such as Science Uncovered and Nature Live.